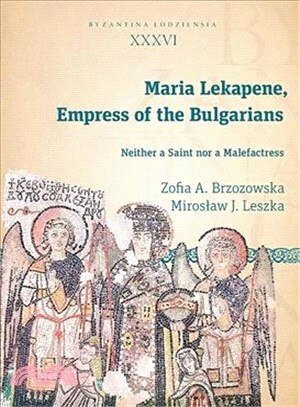 In this book, the first monograph on Maria ever to have been written, Miroslaw J. Leszka and Zofia A. Brzozowska construct a balanced narrative of the tsaritsa’s life and her role in tenth-century Bulgaria through meticulous analysis of primary sources, putting aside biases. The publication is supplemented by a translation of the fragments of the Hellenic and Roman Chronicle of the second redaction devoted to Maria and Peter. Miroslaw J. Leszka is full professor at the Department of Byzantine History, Faculty of Philosophy and History, University of Lodz. His scholarly interests include imperial power in the early and middle Byzantine periods, the role of women at the court in Constantinople, and especially the history of Bulgaria (7th–11th cent.). He is the author or coauthor of eight books as well as over 150 articles and reviews.